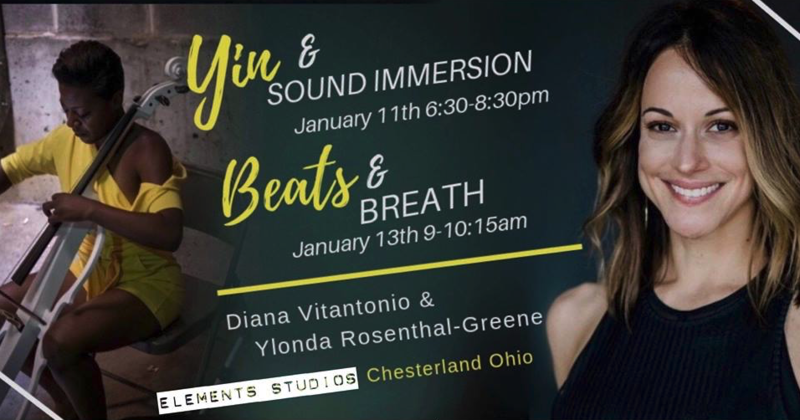 Join Diana and Ylonda for a Yin & Sound immersion experience designed to heal your body and soul. In this 90-minute special offering, Diana will guide you through long yin postures that create deep healing in your body while Ylonda plays her cello, 7 chakra sound bowls, gong, and chimes. Ylonda’s music provides more than just a lovely sound backdrop; it is a deep sound healing bath that creates peacefulness and balance in your body.